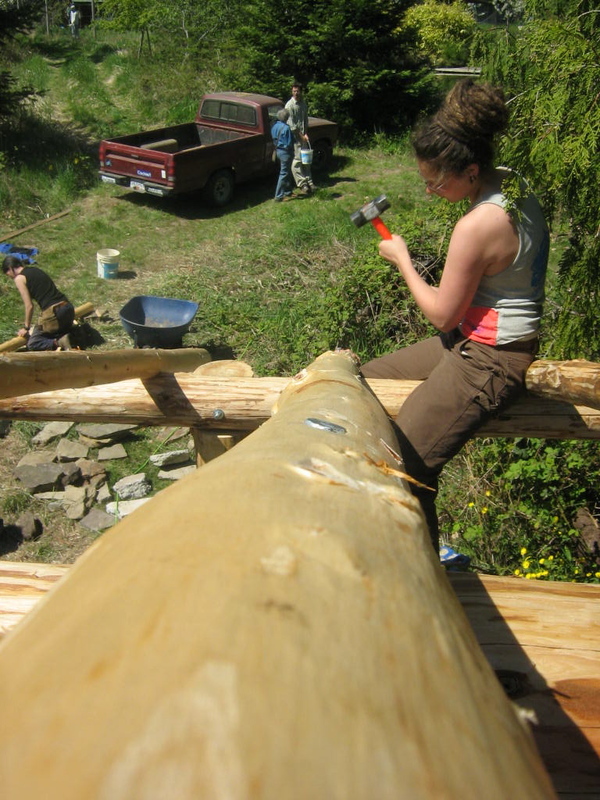 The Mudgirls Natural Building Collective was started on Lasqueti Island by Jen Gobby in 2004 to generate affordable, environmentally-friendly housing. A Mudgirls construction crew overflows the ramparts of one of their creations. Brianna Walker photo. More than a decade later, their communal practice of women helping women has maintained its radically egalitarian ethic. I was excited about being asked to review this book. 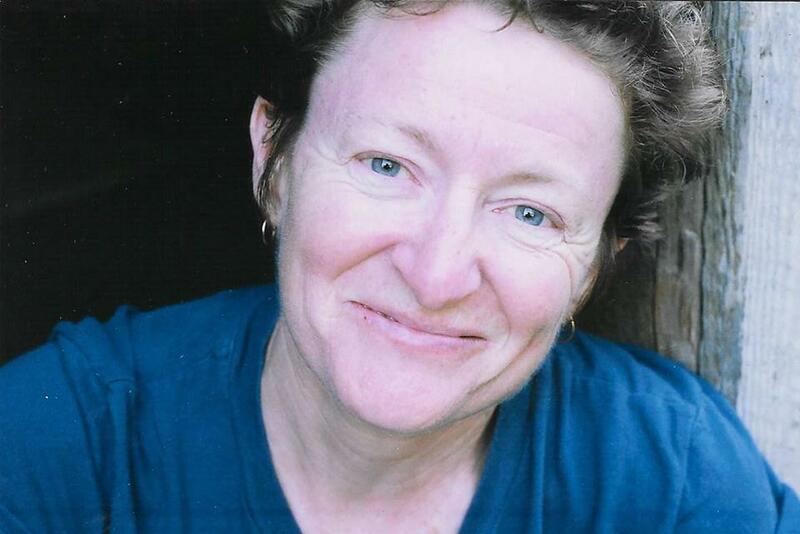 In the ’70s and ’80s I spent 15 years as a Red Seal Journey(wo)man Carpenter building and renovating houses, high-rises and bridges, and later wrote poetry and non-fiction about the experience. What could be more perfect than reviewing a book about women building? But this book wasn’t what I’d expected – or not exactly. Yes, it’s about women building, but the first hundred pages are more about manifesto than mud. 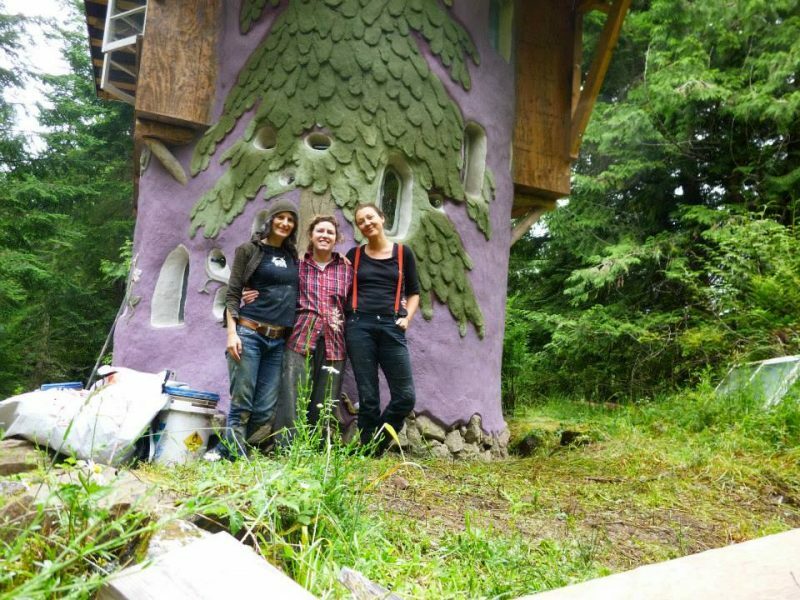 “We learned to build by building.” — Mudgirls Clare Kenny, Bec McGuire and Anna Himmelman. 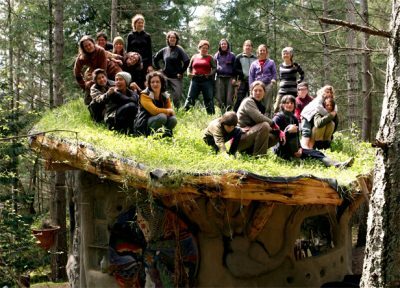 The Mudgirls Natural Building Collective was started on Lasqueti Island, an isolated island off the coast of central British Columbia, by Jen Gobby in 2004 as a hands-on solution to finding affordable, environmentally-friendly housing. It started as The Mudgirls Bartering Collective, and the current (wage-earning) collective formed three years later as an all-women group, though it has included some men. The fact that it’s primarily a group of women is essential to their philosophy as well as their practice, and I deeply understood this pleasure in working with other women. The first time I worked with a woman in construction after five years of working exclusively with men, was a revelation. With a woman, I didn’t have to prove myself over and over. I could openly express my delight in a wall well-built, a problem solved, could talk about personal things like relationships, not just cars and sports. This was familiar; I’ve been in my share of feminist marches and consciousness-raising groups, arguing endlessly for women’s right to equal treatment, particularly the right to build. Before becoming active in the trade union and feminist movements, I lived in a rural commune that questioned traditional values and relationships. So why, as I dived into the Mudgirls Manifesto, was I feeling, at moments, ambiguous, even alarmed? Mudgirls take the mud for a spin. 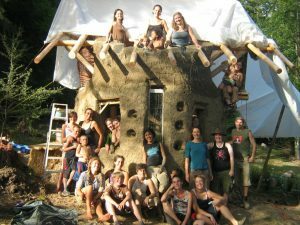 “The Mudgirls are building a Revolution!” one of their clients proclaims (p.106, parag.1). So, what might a Mudgirl revolution look like? For one thing, many of the women are young mothers, so free childcare is considered essential and is built into all their workshops, meetings (of which there are many), and time spent actually building. I was trained to build by the book – literally, the Building Code book that sets provincial standards for building including requirements for spacing support posts and beams, the strength of concrete, electrical, plumbing and all other aspects of building. 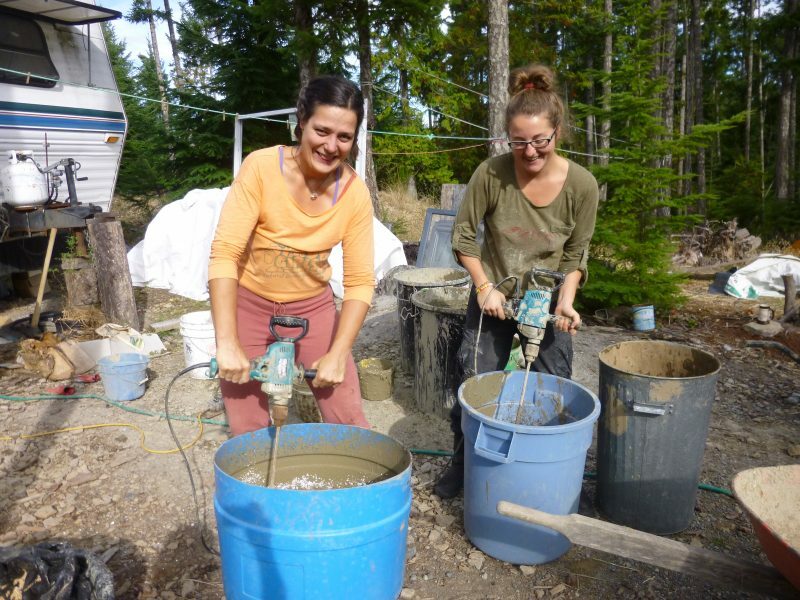 Though the Mudgirls make some gestures toward the Building Code, they also brag about the fact that they can slip under the radar because one of their main building materials – cob – is not yet part of the BC Building Code (p.36, parag.3). My unease increased when I read on page 21: “Not to say we don’t often collaborate on projects that are fully code and/or engineer approved – we do so all the time. But what really gets our hearts pumping is figuring out how to do things according to good sense and natural laws, not according to capitalist logic.” (p.21, parag. 2.) You mean, they don’t build by the Building Code? 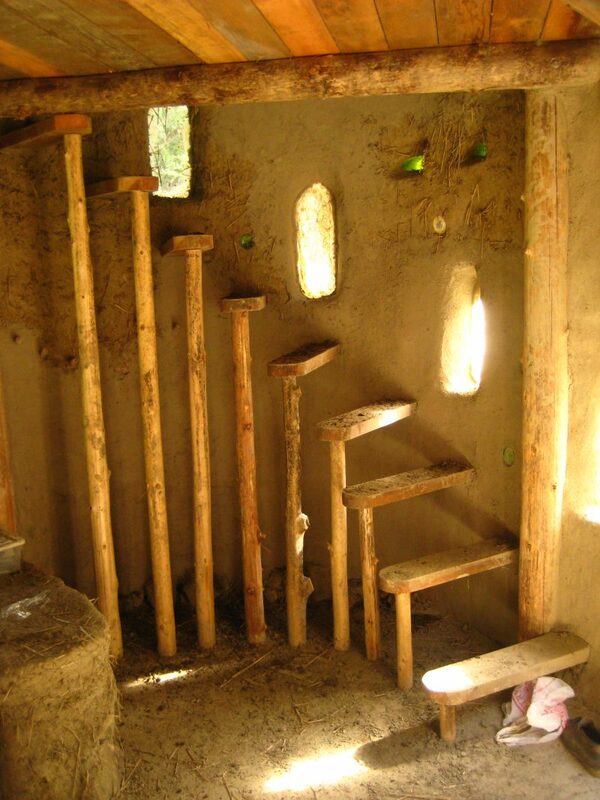 There’s even a section here on why cob walls (built of fine sand with straw and clay as the mortar) fall down. Are these Mudgirls and their clients not alarmed? Well, yes, but just a little. They acknowledge that walls falling is the most dangerous thing that can happen at a building workshop (though I wondered: what about people falling off roofs? ladders? cutting off body bits with saws and chisels?) Yet they end this section with “a wall fall play list,” that includes tunes for your walls to fall down to, like Bastille’s “Pompeii.” (p.155, parag. 3) This kind of “gee-whiz” enthusiasm felt naïve at best, dangerous at worst, and yet…. From women who aren’t afraid to use the words “capitalist” and “alternative” and “new roles in society” – “love,” even – in the context of building, there’s an exuberance and joy in the text as well as in the faces in the many photographs, that I, as another builder, deeply understand. It was the first thing I loved about construction – the joy that comes from physical labour, the fact that building lets us see the “direct results of our actions.” (p.67, parag. 1) This is the deep satisfaction of women building shelter for others. It is a pleasure we women are rarely allowed to find out for ourselves. 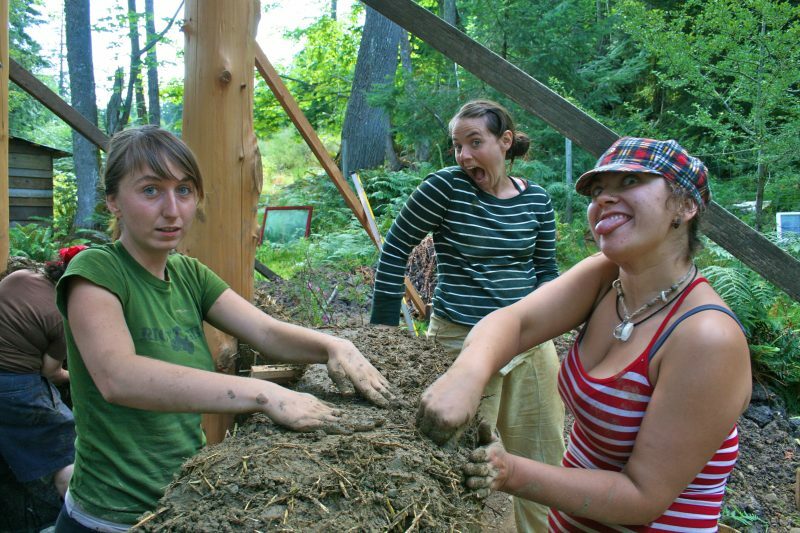 For Mudgirls, the physical fact that every stick and handful of mud in the emerging house has to be “pulled, dug, cut peeled, barrowed, or carried up to the house site,…. sounds like fun, like freedom, like something worth doing.” (p. 67, parag. 1) Indeed! These women largely avoid machines and electrical tools. They specify that the point of their work is not speed (which it specifically is in traditional building) but “about the people building something themselves… all while not having to yell over the sound of loud machines.” (p.65, parag. 2, p.66, parag.1). And in fact, after several years in construction I realized that one of the reasons men talk so little on the job is very much for this reason: that you can’t hear each other over the roar of skill saws and the clacking of cranes. In the same way, early tradeswomen told each other: “Use your brain, not your back,” and we found that when the first women on the job occasionally asked for help on heavy loads, the men began to do the same. Everybody helps. No one is boss. Mudgirls take it a step further, making a truly revolutionary suggestion. When they talk about building in their highly non-traditional, cooperative style, they ask, “What if we can set the men free, by relieving them of the expectation that they have to look after everything?” (p.55, parag.2) Surely, at least some men would be grateful for such a break from society’s burden of always having to be “in charge”? “We try to tell people to stop laughing and joking around. The struggle is real, people.” Brianna Walker photo. For me, the best part of the book starts almost two-thirds of the way through when we get to the nitty-gritty. Here are the tantalizing details of how to actually build; here we learn some of the tricks of the trade like how to test clay to see if it’s suitable, how to mix cob and plasters. Here’s the importance of sheer vs. compressive strength, recipes for paints for plaster and mud, how and when to pick trees for post and beam building (in spring when the sap’s running so they’re easier to peel), and a list of essential tools. I learned a lot from this book, including how to build a dry stack rock foundation, fix cracks in clay, and that a building made of natural materials, once allowed to dry, will not melt if it gets wet as long as the foundation is at least 18 inches off the ground and there’s a large overhang. 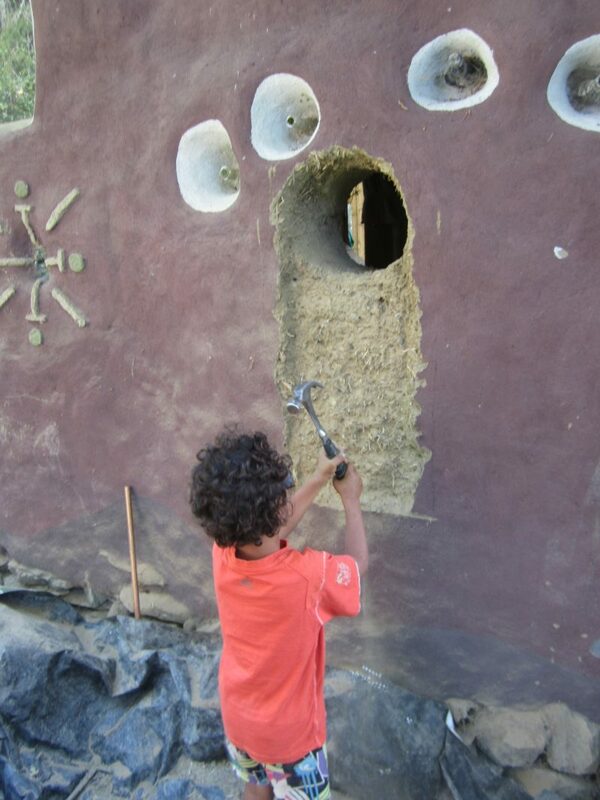 (p.156) Did you know horse manure plaster makes a wonderful base coat for earthen structures and sculpting walls? Or that lime has an electromagnetic charge and likes to be applied on top of other lime? (p.147) Almost romantic – or am I starting to sound naïve? The Mudgirls point out that with mud and clay, there is an “inability to maintain complete control” over your materials, which leads, they say, “to a sense of wonder and trust in the process that can be wildly liberating.” (p.159, parag.3) And with that, I suddenly understand where some of my unease comes from; the whole focus of my trades training and practice was about control. That’s why traditional construction workers – carpenters, plumbers, ironworkers… all of us – are crazy about levels and squares (and sledgehammers, should materials refuse to cooperate). The thinking is that with everything perfectly plumb and square and straight (or as perfect as we can get it) that things won’t fall down. We build it “right,” which means complete control over every aspect of the building. It’s something I learned, and learned to be proud of. Over fifteen years, it’s true, I got tired of those thousands of perfect ninety-degree angles, the absolute uniformity of 4’x8’ sheets of plywood and drywall. The Mudgirls are on to something, even from a traditional builder’s point of view. The body that’s building is still a body, and to see its curves reflected in the structures around it, would be lovely indeed. And all that mud and dirt so liberally spread across faces and hands in the book? It’s true, dirt is fun. Maybe we women never got enough of it when we were young. Mudgirl Chris Hammers on a small roundwood structure. When I found myself quibbling in my own mind over some of their practices, I remember that the women’s goal is not just to practice alternative building, but to find and practice alternative “living, connecting, learning, and sharing.” (p.199, parag.3) “Transformation” is a Guiding Principle. (p.119, parag.1) “We make the decision over and over again,” they state, “to change the world, one bucket at a time.” (p.95, parag.1) And how else can we create real change in this competitive and violence-ridden world except through the passion of wildly determined optimists like these? Maybe more of us need to gather our courage, leap in, and try doing things a little differently, using the best parts of tradition – yes – but breaking free of what doesn’t and hasn’t worked so well for so many. In the end, though I could have used less manifesto and more mud, the Mudgirls have my blessing. May their revolution continue – safely – to grow. Keep the spirit, sisters. Keep what has worked in the past, too – but keep it all safe! 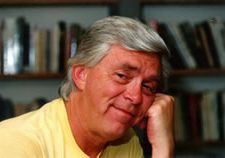 The Ormsby Review is a journal service for serious coverage of B.C. books and authors, hosted by Simon Fraser University. The Advisory Board consists of Jean Barman, Robin Fisher, Cole Harris, Wade Davis, Hugh Johnston, Patricia Roy, David Stouck, and Graeme Wynn. 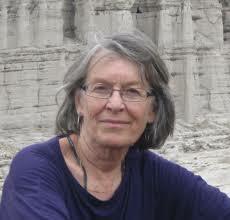 Scholarly Patron: SFU Graduate Liberal Studies. 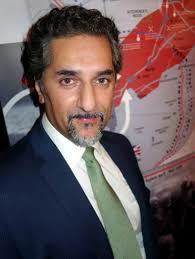 Honorary Patron: Yosef Wosk. 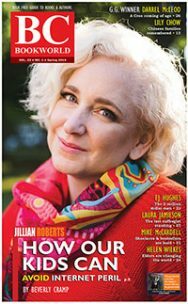 « #344 Three curative plays of B.C.